Great all-around 100% nylon utility cord made by Israel's leading supplier of rope and cordage to the IDF. AgiliteType III commercial paracord is tough, durable and long lasting. It is a must have for hunters, campers, hiker and for the trunk of your car. 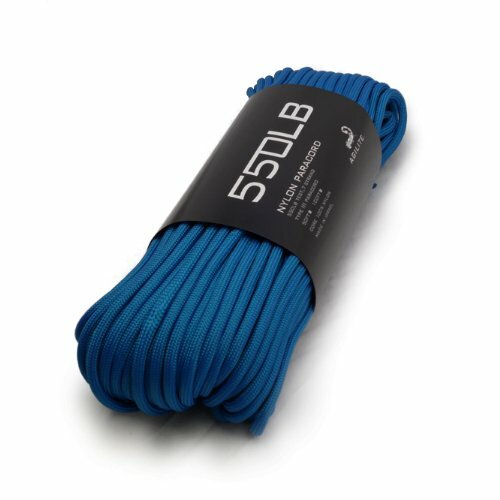 This cord can hold up to 550-pounds and features a seven-strand core for maximum strength. Measuring 5/32 inches in diameter and with its 100% nylon construction it won't mildew or dry-rot. 100ft long, 550lb tensile strength. Made in Israel. Ideal Rope for Various Uses in Camping, First Aid, Fishing, Hunting, Repairs, Emergencies, Search and Rescue, Survival etc. Israeli Product, Made in Israel by Agilite Gear, the leading supplier of rope and cordage to the IDF. If you have any questions about this product by Agilite Gear, contact us by completing and submitting the form below. If you are looking for a specif part number, please include it with your message.